Made an impression. So, I decided to following suit with one of my own. Copying the idea, I know. But then again, I have no shame. 😉 So I will accept the Modern Day Drifter’s challenge from awhile back, care of Arlee and with thanks, and see where it takes me. The high points for sure, but many will be skipped. With one caveat. I’ll break it into decades. Starting with the first full one I lived through and was shaped by. The 1960s. All of this had to have a beginning, and it was one song in particular that started it all (and surprisingly, it wasn’t one by The Beatles). 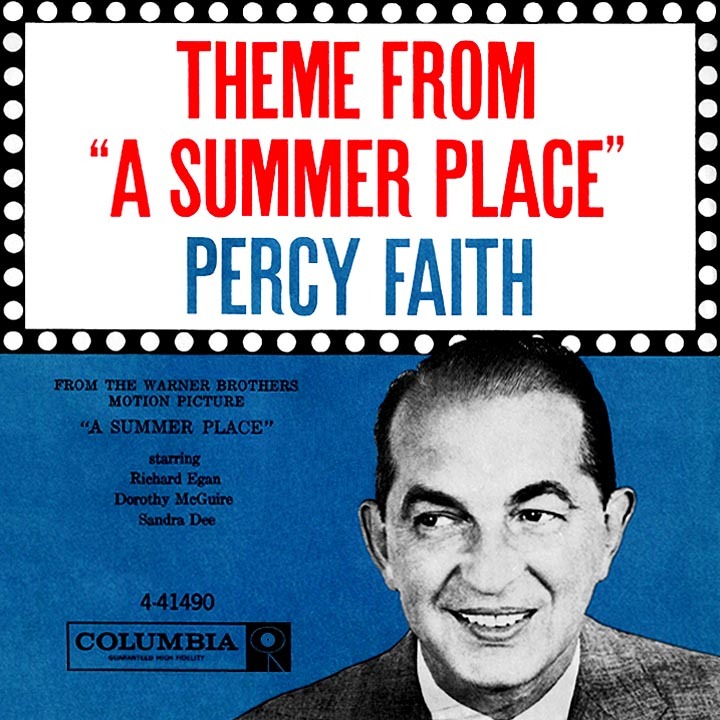 I was in the middle of five going on six when Percy Faith and his orchestra sealed the deal with his insanely popular instrumental, Theme from A Summer Place. I heard this tune at home or coming from friend’s houses in the neighborhood, while it played from AM radio sets and/or 45 rpm record players throughout the early part of 1960. It’s been stuck in my head ever since. Looking back, two things immediately popped out about this decade. Many of the songs were directly associated with my mother, and her listening habits. Affected mine so that they join this list. Second, how many were instrumentals. 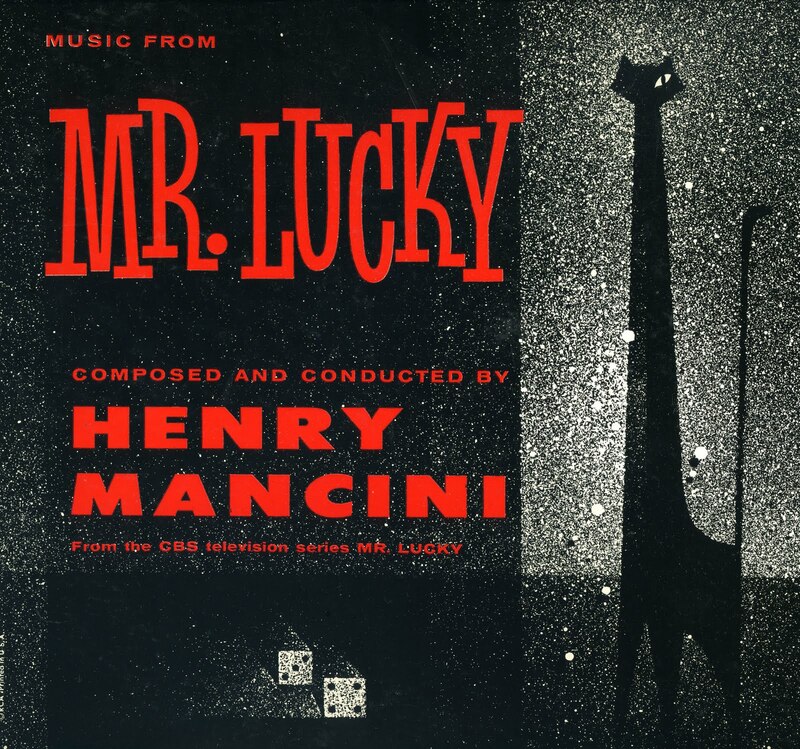 For instance, this theme song by the great Henry Mancini for the CBS adventure/drama on television (1959-60). Mom played this endlessly while doing housework, and through osmosis, it stuck fast. As a young child, I recall the woman who bore me moving across the apartment she lived in at the time, singing right along with the grand balladeer Marty Robbins whenever El Paso would drift out from the radio she kept. This indelible old number, released on the Gunfighter Ballads and Trail Songs LP mom kept nearby from the previous year, casting a tale of heartache, still sets my memory to wander so. 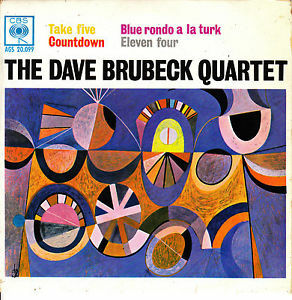 Like the first on this personal soundtrack, Dave Brubeck’s seminal jazz number Take Five just called to me. Perhaps, influenced by the number of instrumentals and movie soundtracks played in my mother’s home, I didn’t require a vocal to gather my interest. Well, maybe a sense of what’s “cool as a cucumber” soothing also had something to do with it. Nothing sounded like this on AM radio, and was catchy as all get out. Still, television held my interests back then in the early 60s, as well. Most of the time, watching with my mother’s mother at her home (since that was where I slept coming back from visiting mom at her flat). She’d pick what we watched most of the time. The Route 66 series an out in out favorite of hers, so it became mine. Nelson Riddle wrote the jazzy instrumental so CBS didn’t have pay royalties for the Bobby Troup song. I was seven years old when this made its way to that same AM airwaves. 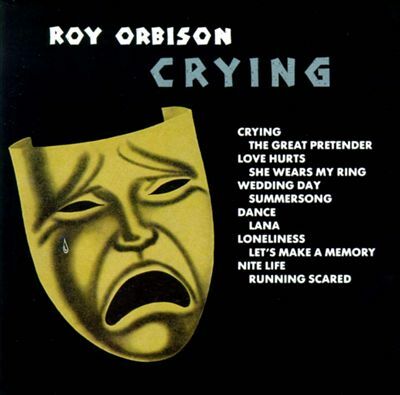 My mother certainly played Roy Orbison’s Crying enough. No doubt connecting with the honest and passionate lyrics. Sung by a fellow Texan, at that. As a kid, I didn’t connect with the tune initially, like my mother had. That would come soon enough, like everyone else, when heartbreak began to really register. 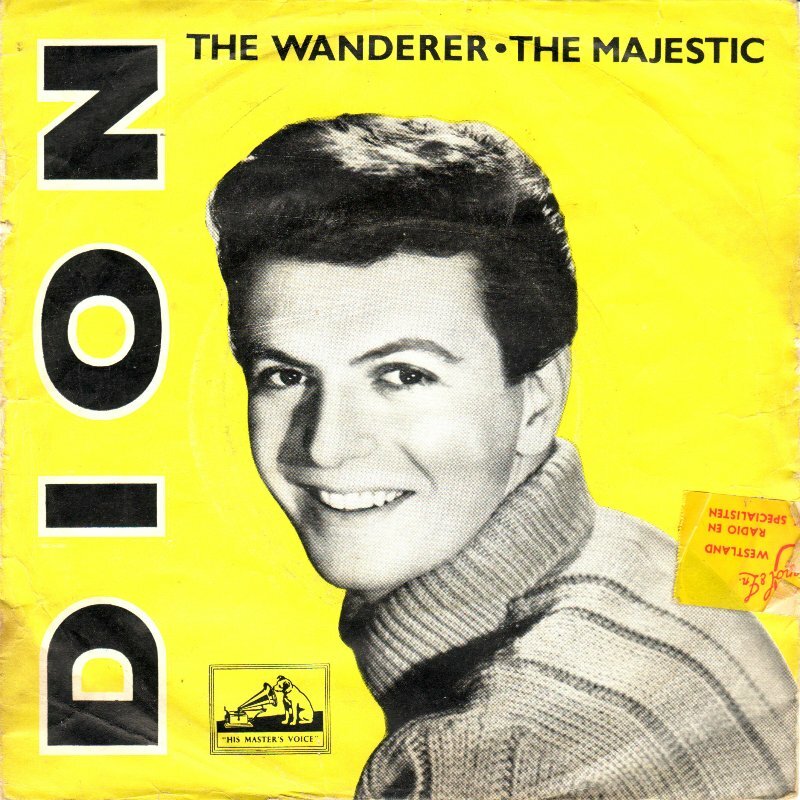 Breaking away from what mom listened to probably arrived with this Dion song. Likely learning about bluesy rock with it and finding I enjoyed the sound. Less concerned with the lyrics because I was 7 going on 8. When the words began to sink in, though, I then recognized The Wanderer for what it was. My dad in song. You remember this kind of thing growing up. This the year The Lads really came into my orbit. Perhaps their impact wouldn’t fully reach me for a little while, but knew I liked what I heard. Fascinated with something I couldn’t yet define. As my friend Corey Wilde once said, paraphrasing, it all “…sounding familiar but quite new and fresh at the same time.” The world hadn’t changed yet, but the trail was being blazed. Like the above, this Rolling Stones (way before they were universally recognized as just “The Stones”) was among the defining songs of the 60s era. Leading off with one of the most captivating and memorable guitar riffs in rock history, it perked your ears and got your heart going a bit faster. Still does. The number that hooked me to the bluesy rock band. Bill Pursell’s lone Top 100 number would leave a lasting effect on my listening habits this decade, and especially the next. Ask my kids about this fact. I have a soft spot for the old music instrumentals that were once more common on the radio and music charts back in the decades of my long gone youth. This remains a hauntingly beautiful melody. 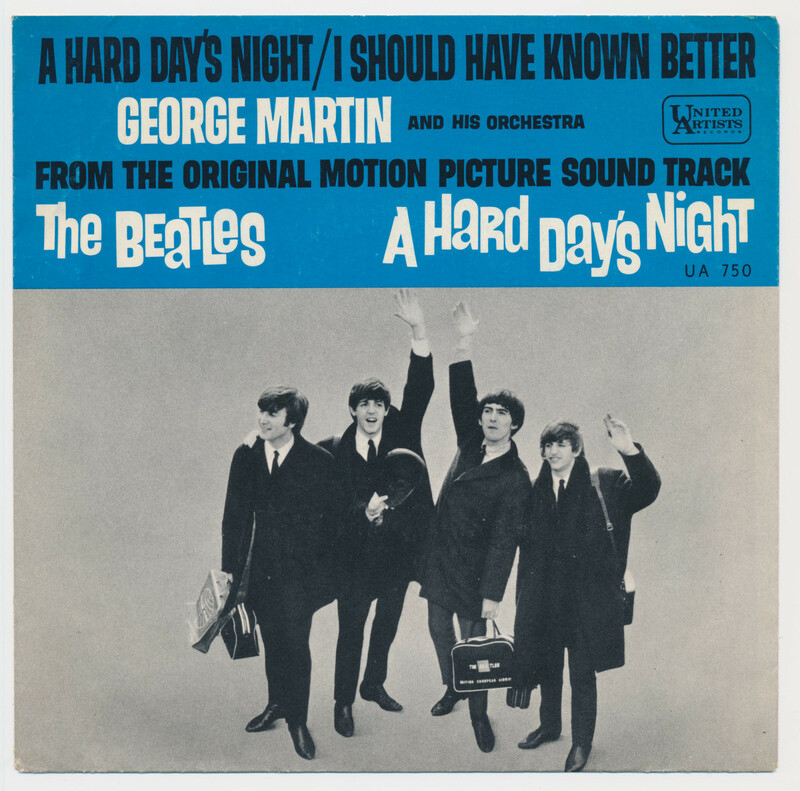 A Hard Day’s Day brilliant opening chord, the triumphant strum of guitar, bass, and piano grand, not only heralded the start of the song, an album, a movie of the same name, as well as a pop era, but my 10-year old eyes and ears to the possibilities of what film and music could bring. This cemented my admiration of The Lads in ’64, and it’s lasted through to this day. I’d heard the song on radio before catching my first Bond flick, or when someone in the family bought the soundtrack. And like almost everything associated with Goldfinger the film, this one set the standard that all others are judged by. All of the Bond theme songs that came before are almost an afterthought due to Shirley Bassey singing “the song in a pull-out-the-stops manner”, as AllMusic noted. 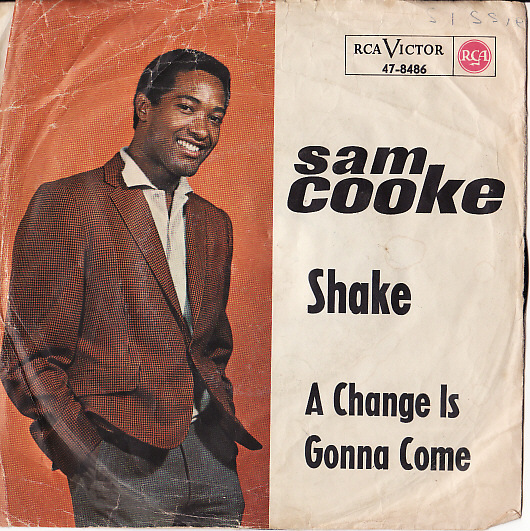 I knew Sam Cooke was my mother’s favorite singer long before this. Played his records enough on her old record player she had in the living room that it sunk in early. And I recall catching her cry her most bitter tears upon learning of his death. 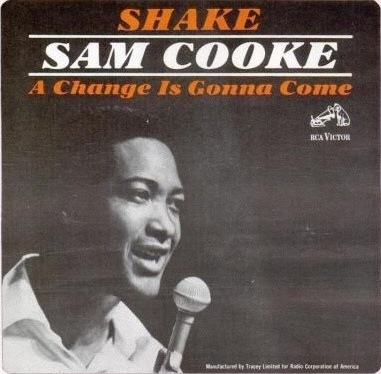 A Change Is Gonna Come released posthumously that same year and played with a reverence that pierced me. My first music-based crush would be with the girl from Epsom, England, as the British Invasion began cresting. 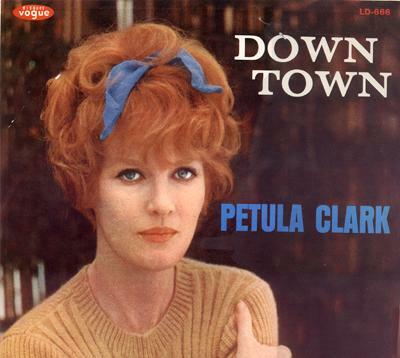 Petula Clark‘s burst on the U.S. scene with The Ed Sullivan Show on March 14, 1965. Downtown not only captured this 10-year old’s heart back then watching grandma’s TV in the living room, but both the loneliness and social contact of metropolitan life with a distinction hadn’t heard before. Hasn’t ever stopped playing for me. 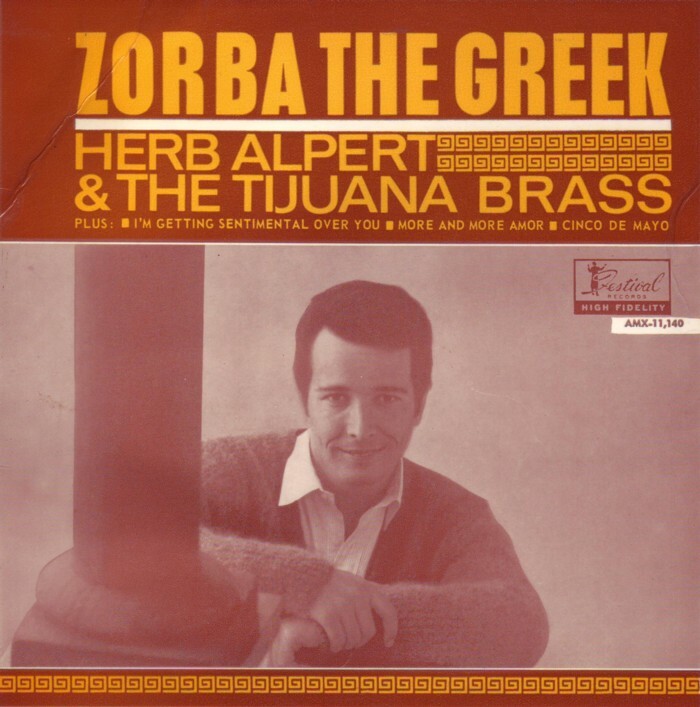 I daresay the Zorba The Greek number on Pop AM radio remains an energetic and infectious tune, even now. If you listen to how the instrumental begins, the perceived Greek folk song tempo is there, followed by the pulse of intermixed mariachi horns. This unexpected song turned my attention to Herb Alpert’s & The Tijuana Brass full blast, sparking back to what they’d done before this. 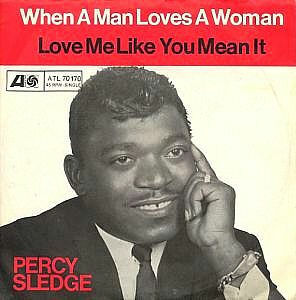 Old enough finally to begin to understand that “girls” suddenly were quite fascinating, I guess it was to be expected when this twelve year-old latched on to Percy Sledge’s stirring love song. Really struck home, too. Think I caught mom looking at me one day, reading my mind as only mothers can do with their children, while I listened to When A Man Loves A Woman. Wondering. No one had to tell me The Monkees television show was a direct response to The Beatles hitting these shores a few years earlier. Having a cute and charismatic British singer at the front a sure sign. But, dammit, this foursome snared me with Last Train to Clarksville. The first in a run that had me buying singles from an idea of a TV series by Robert “Bob” Rafelson and Bert Schneider. The rest is history. 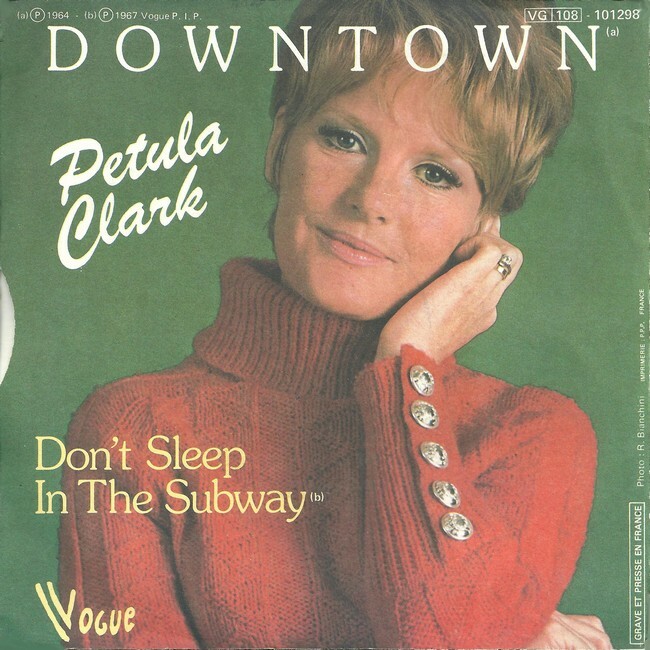 I’d learn years later this number, in a string of them I’d always listen for when the radio was on, Don’t Sleep In The Subway was a favorite of Petula Clark’s. Maybe it was the “come-hither” lyrics that likely intrigued me. Certainly, whatever 60s sexual revolution going were just the quiet subject matter in conversations my mother and her sisters were sharing amongst themselves (not with me, of course). As fast as I appeared to be growing up to my mother eyes, me hoping against hope of getting taller, she still had incredible influence upon me. Especially musically. Her Texican roots kept her country music leanings near the forefront. Therefore, mine as well. No surprise she fell for former Wrecking Crew member, Glen Campbell. Bought every early LP of his she did, starting with his first hit, By the Time I Get to Phoenix. Chalk this one up to mom, as well. 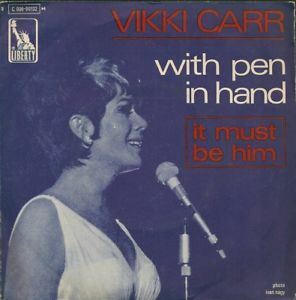 Vikki Carr’s It Must Be Him certainly something I would not have gleamed on to on my own as rock had me thoroughly addicted by now. She always made the point Florencia Bisenta de Casillas Martinez Cardona, AKA Vikki, was like her. Proud of her Mexican heritage, and also born in Tejas. Something she never wanted her sons to forget. 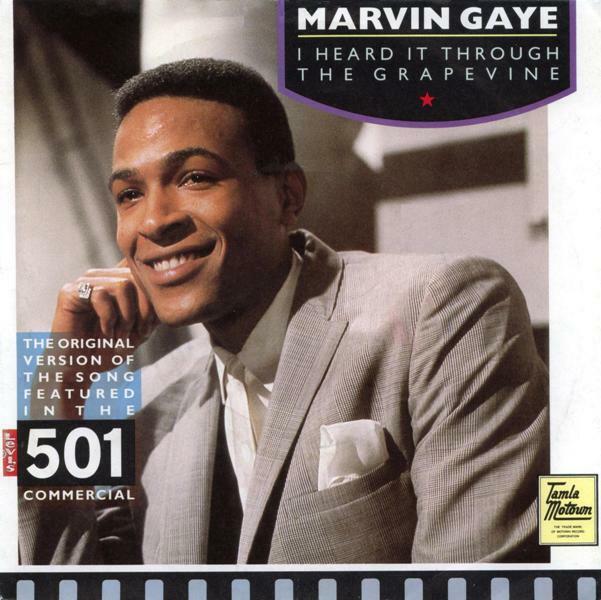 Marvin Gaye’s defining song of the 60s played endlessly between my mother’s and grandma’s via radio or record player in each of their homes. Me now in junior high and so ready for ninth grade bouncing in-between them, yet quickly becoming aware of things all around me in this turbulent year. Wondering what would next be coming down the line, somehow I Heard It Through The Grapevine provided a heads up. If there’s a teacher I remember, one of the distinct few, it’s the elderly woman who headed my eighth-grade Music Appreciation class in junior high. At first, the course was my least valued. By the mid-point, the class right before lunch became my preferred that semester. When it was done, it’d be the one I’d hold closely with to this day. 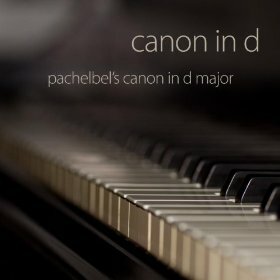 And it was Pachelbel’s Canon in D Major that swung me in that direction. It’s a no-brainer I’d return to this instrumental, a song that rocketed up the charts. No less so because it was introduced to the world on the Smothers Brothers Comedy Hour, which my grandmother and I never missed. 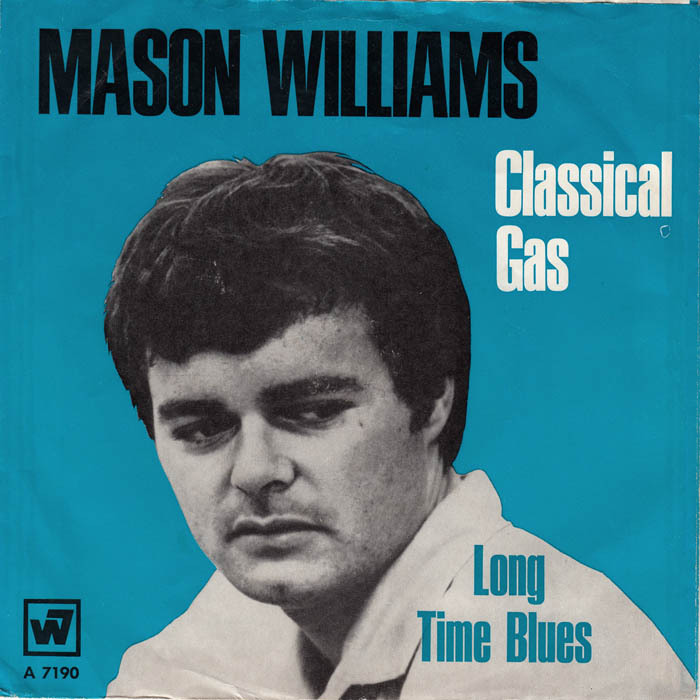 The video montage of classical art works edited in time to the music in a stint on the show brought Classical Gas to my heart, ears, and mind like few others. A few of us first-year high school sophomore’s obsessed over the LP by the bad boys, The Rolling Stones. 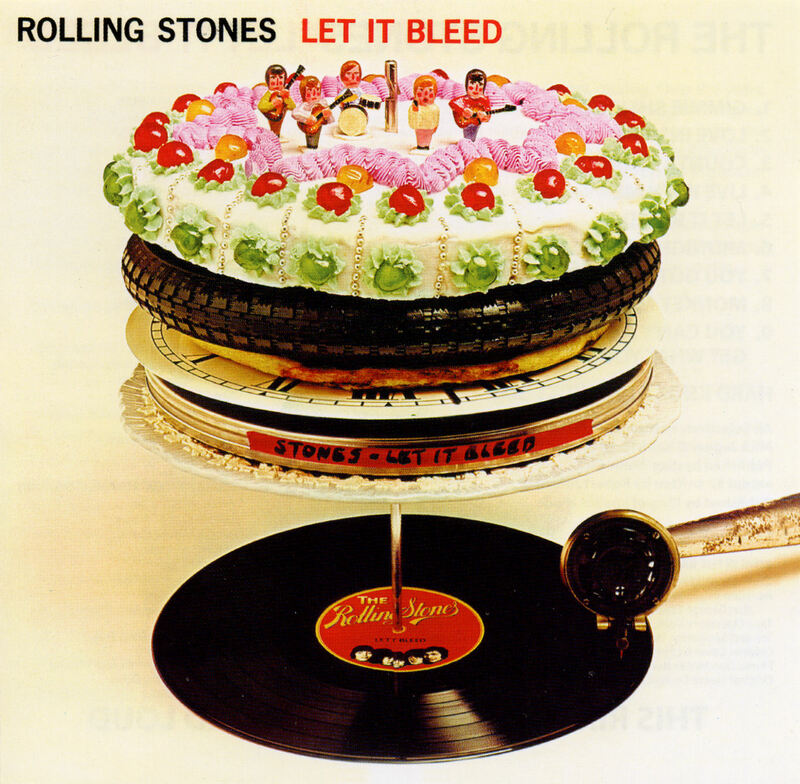 I mean, when Keith Richard’s haunting guitar intro kicked off the lead track, let alone Gimme Shelter‘s guest vocalist Merry Clayton’s legendary accompaniment that raised it to the heavens, it was replayed endlessly. Way before Martin Scorsese did the same in his movies. 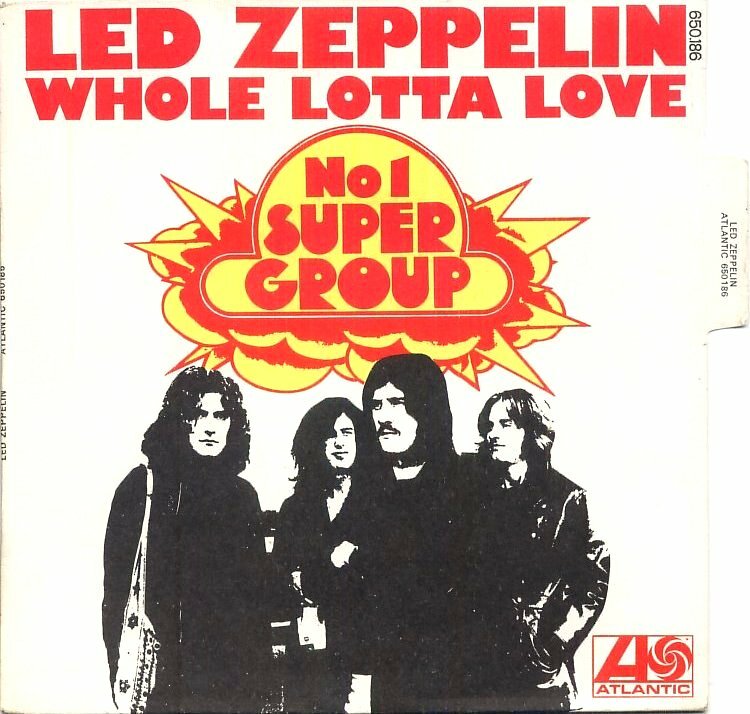 Given the music I’d been exposed to in my most formative decade, what does it say it’s Led Zeppelin’s Whole Lotta Love that closes this 60s soundtrack of mine. The caldron of high school only in its first eye-opening year in what had already been a tempestuous span for me and mine. This bluesy hard rock number comforted. Yet, it’s the music that did just that all the way through the decade. Awakened a love for vocal and instrumental sounds, both forming the harmony and the expression of emotion in me that’s still there. Wonderful idea! So you stopped at high school, then? What a fun way to get to know someone. Wonderful concept- and what a joy it was to go through this list, listening to each YouTube clip along the way. I know you and I share a deep sentimentality for our mothers so I was not surprised to hear tunes with haunting, moody melodies. I was born in 66′ so looking forward to your 70’s list. Musically, I was heavily influenced by mom, her baby brother (6yrs older than me) and by my grandmother (who introduced me to jazz greats like Lena, Ella, Sarah & Satchmo). This was a fun journey! Whoa! That was a whole lot of “Whole Lotta Love”! Guess you can go back and fix the video, but I got the songs. Thank you for the acknowledgement! A meme that goes back, but always a good one to use. All songs that I remember with a few surprising ones thrown into the mix. 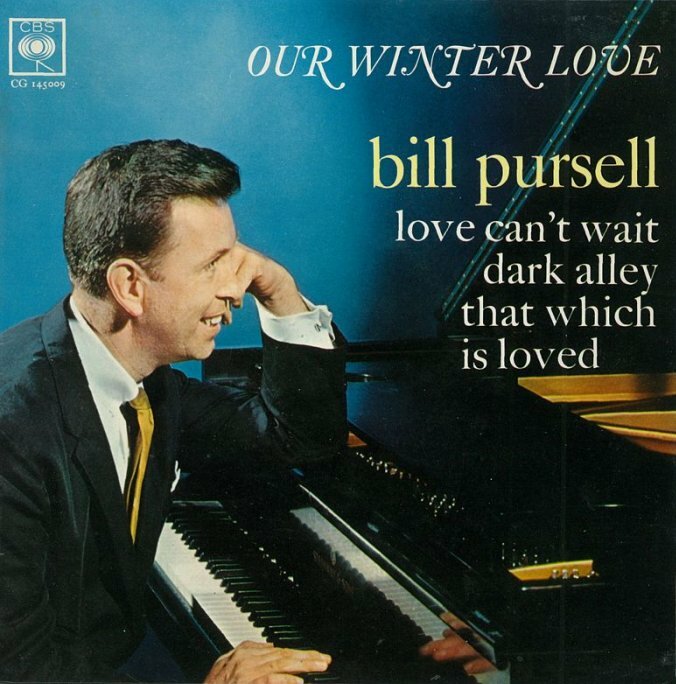 I’m not overly familiar with the artist Bill Purcell, but I sure do remember that lovely winter song. Vickie Carr’s “It Must Be Him” was kind of surprising, but I’ll admit that was a guilty pleasure of mine as well. And it was difficult to miss those classic TV themes. There wasn’t much choice in TV viewing so we heard those songs at least a few times on TV if not on the radio or elsewhere. You and I have similar eclectic tastes in music I think. I’ll be looking for the next decade’s soundtrack, hopefully with the correct video clip thrown in. Although clips weren’t necessary for me here since I knew all the songs and only had to refresh my memory by looking up “Our Winter Love”. My pleasure, Lee. It’s marvelous idea and grand post by you that inspired this. We have more than a few things in common. Many thanks, my friend. Oh, I see you fixed the clips as I was leaving my comment. Excellent! Now I can tweet the link! O my word! 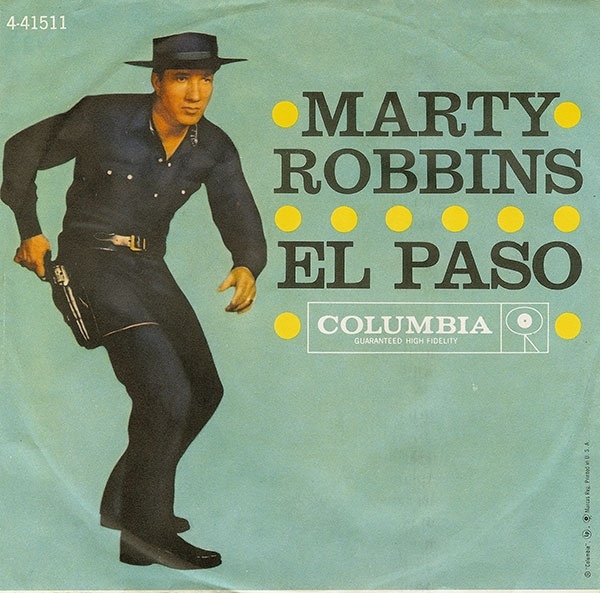 I’d LOVE to listen to all the clips, I tried one ‘Marty Robbins -El Paso’ but not allowed in my country! 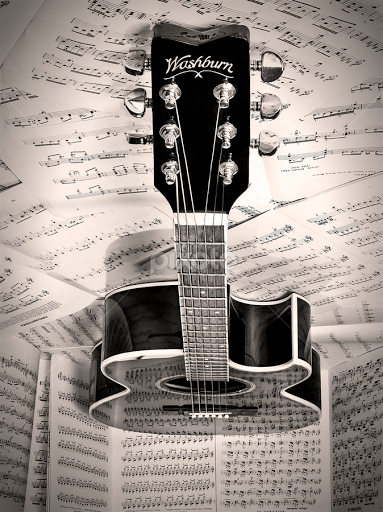 I will check out the music again, all of them familiar to me and a part of my life as well .. when I have a good hour to tune in! As I scrolled down I thought, “Of Course” all of these songs feel like they would be on my soundtrack as well. The “Theme From a Summer Place” feels like music I would listen to while waiting for the curtain to go up at a movie. I knew “Goldfinger” would be there, 007 defined the 60s, even if it is like listening to the Beatles without earmuffs. All of those great TV themes are rattling around in my head, the instrumental for “Lost in Space” and Alexander Courage’s theme for “Star Trek” would dominate my youth. The first place I knew all the Beatles songs from was the Saturday Morning Cartoon show. Somewhere I would have to add some Surf music, maybe “Wipeout” or the Ventures version of the Hawaii 5-0 theme. 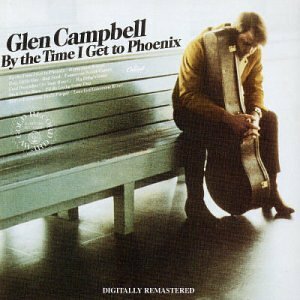 The Glen Campbell selection is excellent. I’d finish off the decade with a double header of Johnny Cash’s “A Boy Named Sue” and The Fifth Dimensions “Age of Aquarius”. Those are off of the first two albums I bought for myself. I absolutely LOVE this post! 😀 My life has a soundtrack too and I talk about that all the time. Nice to meet a kindred spirit. Fabulous selections! Hello again 🙂 I’ve just recently started a similar series on my own site. I’m adding a link back to yours, as well. Apologies, as I had forgotten this post, but that surely gave me the original inspiration! I’m still editing it to add your link. Fine choices! For me, I really fell in love with music as a teenager in the late 80s/early 90s so it’s bands like Primal Scream, the Jesus and Mary Chain and The Smiths. Outstanding retrospective, Arlee and Michael!!! Very well thought out executed! I was bit too young for The First Wave of The British Invasion with the Beatles, whom I’ve always contended was a “Chick Band’ until drugs became vogue. 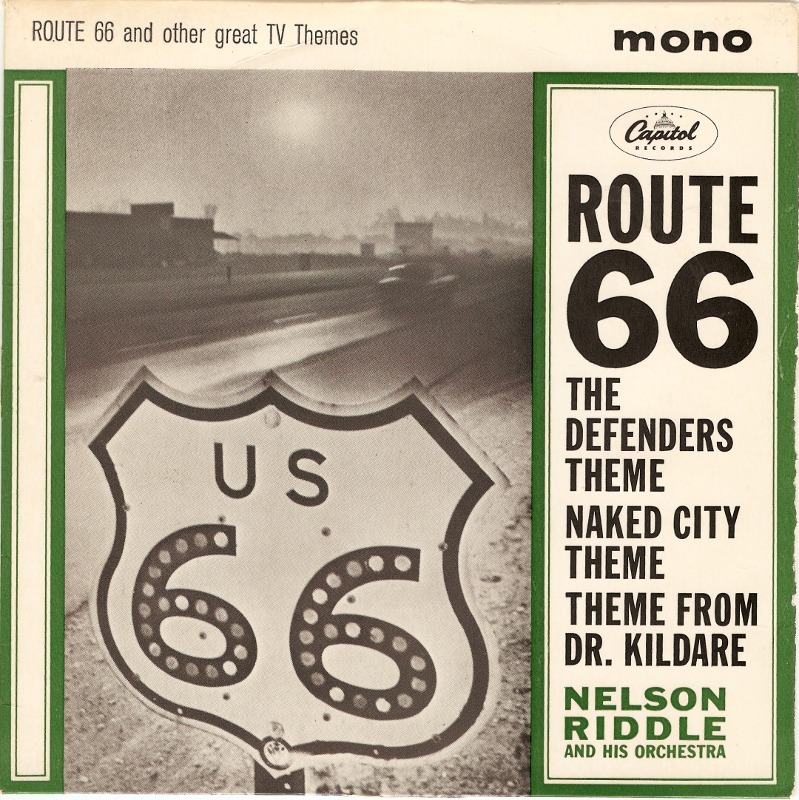 Excellent catches with Brubeck and the theme to ‘Route 66’. Which was originally written and arranged by Bobby Troupe of Jack Webb’s ‘Emergency’. 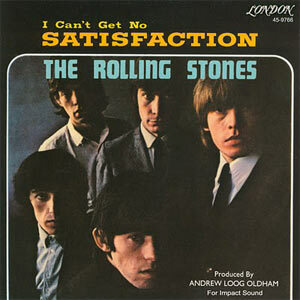 And whose early cover by The Stones was my first taste of imported music. And believe their ‘Sympathy For The Devil’ is a superb example of musical story telling! Percy Sledge works best with massive horn arrangement. As you so well note. As does Petula Clark. 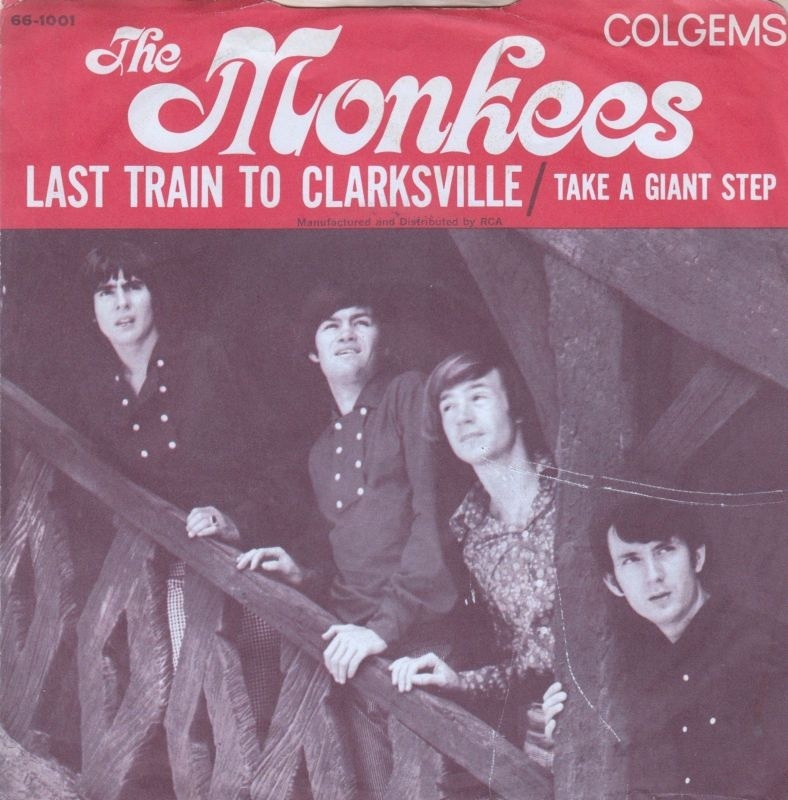 The Monkees were America’s add on answer to The Invasion, but was a treasure rove for unsung writes like Neil Diamond, Hoyt Axton, Anne Murray and Mr. Nesmith. Always liked their ‘Daydream Believer’ and ‘Tapioca Tundra’. Also think that Led Zep’s ‘Hot Dog’ is a criminally ignored Honky Tonk classic!!! Great to have you chime in, Kevin. Yeah, what a special time, place, and music. Good point about “Hot Dog”, too. Thanks so much, my friend. Love the premise and the diverse character of the list. If you asked me I would’ve gone for more bands from the second part of the decade, such as The Velvet Underground, The Band, Love, Syd Barrett’s Pink Floyd, Jefferson Airplane and The Who. Wonderful list. I remember and loved all these songs at that time.